“Taut rhythms and sleek precision” (London Evening Standard) from the John Wilson Orchestra and special guests as they celebrate the work of composer George Gershwin, described as “one of the defining songwriters of the ‘jazz age’” (The Guardian). “There are few conductors who receive rapturous applause before they have even lifted their baton for the first beat … John Wilson is one of them,” says the New Statesman. Join John Wilson and The John Wilson Orchestra plus special guests in this sensational new live show celebrating the genius of George Gershwin featuring some of his greatest hits such as I Got Rhythm, The Man I Love, Somebody Loves Me, Fascinatin’ Rhythm and Strike Up The Band – all in their sumptuous original film orchestrations. 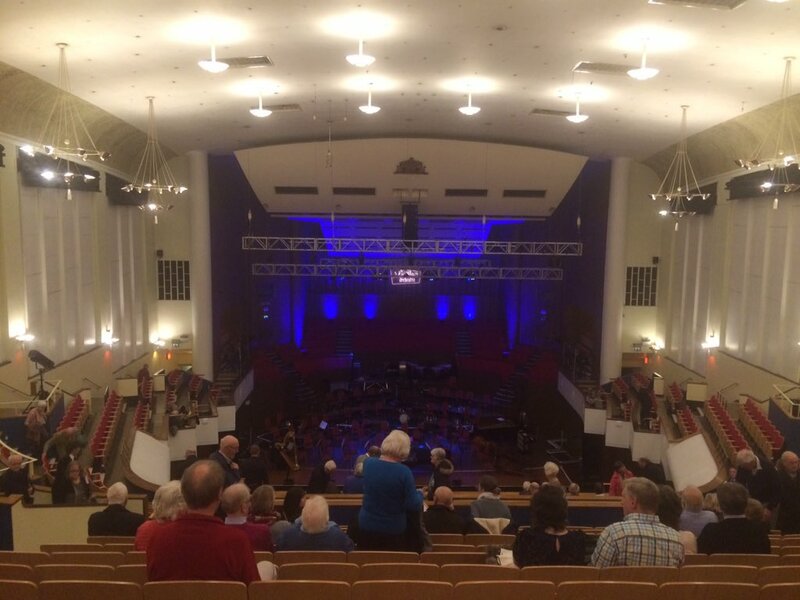 RT @BluntThomas: V excited to be @Colston_Hall to hear John Wilson Orchestra perform a programme of Gershwin! V excited to be @Colston_Hall to hear John Wilson Orchestra perform a programme of Gershwin! John Wilson Orchestra #show81936 Doors6.30 Start 7.00 End 9.45-10.00 TIMES AND INFORMATION ARE ALWAYS APPROXIMATE AND SUBJECT TO CHANGE.